Agencies are looking beyond their data center consolidation projects for opportunities to modernize their IT monitoring and management tools. These initiatives can significantly lower IT costs, simplify infrastructure operations, and boost IT staff effectiveness. 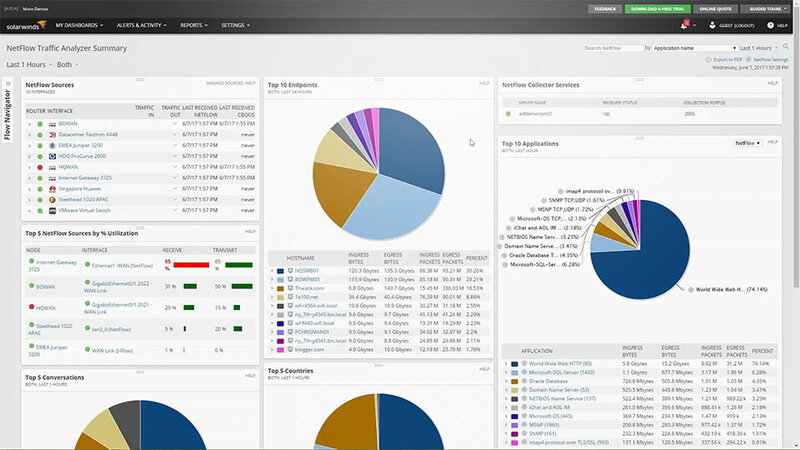 SolarWinds solutions streamline your IT monitoring and management tools, so that you can achieve cost savings, and take advantage of the other benefits IT consolidation has to offer. Our software is easy to implement, configure, and use, and our modular approach lets agencies get the specific tools they need and consolidate in phases. Server & Application Monitor helps you report on software license compliance status and also helps you secure your assets by reporting on your asset inventory. Automatically report on software & hardware asset inventory and get alerted when servers are nearing out-of-warranty status. 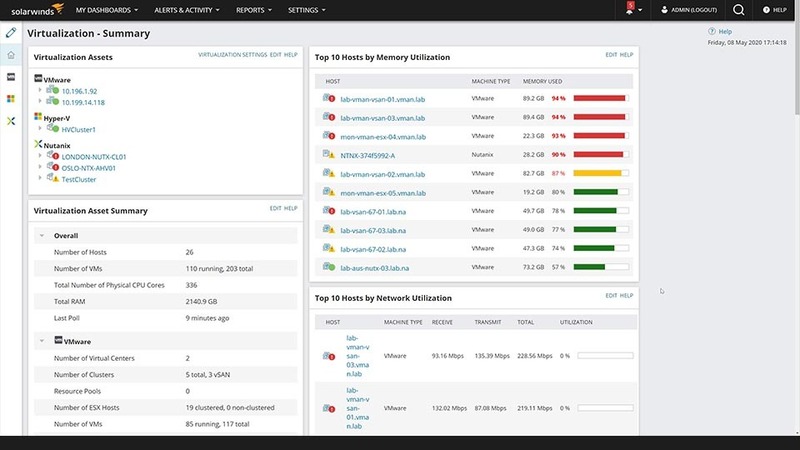 Monitor all your virtual machines in your data center in addition to gaining visibility into shared pools of CPU, memory, network, and storage resources. 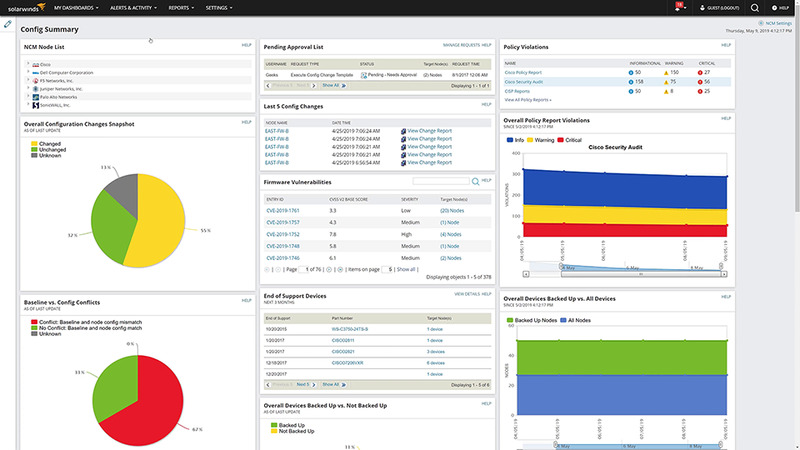 SolarWinds allows you to drill-down and troubleshoot VM performance in your VMware and Hyper-V environments and keep track of VM sprawl, capacity planning, and chargeback capabilities. 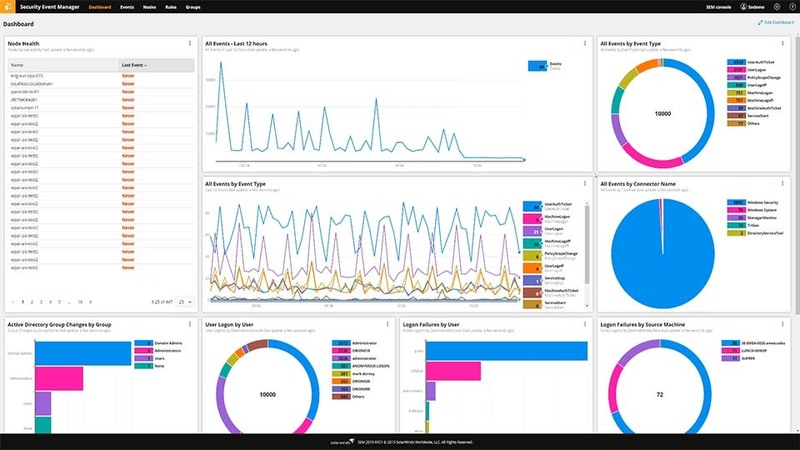 Get real-time and agentless NAS and SAN performance monitoring of your multi-vendor storage arrays. 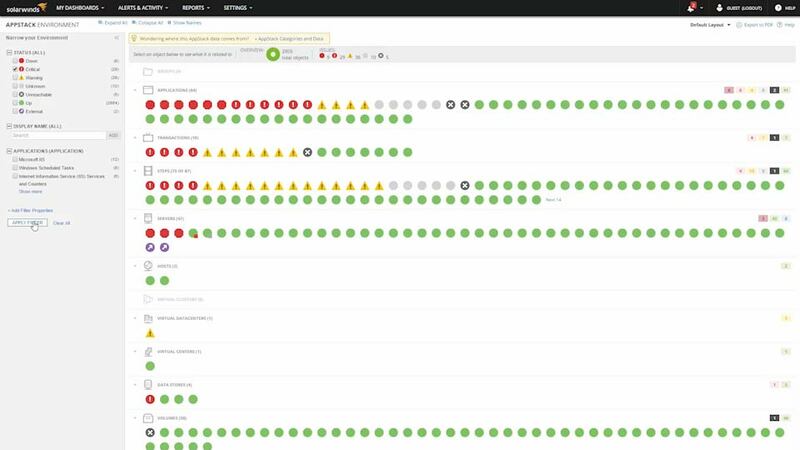 Generate policy-based alerts on status & usage thresholds, get a unified view into performance and status into LUN, RAID groups, volumes, disks, etc., and ensure that your storage network is running at peak performance. 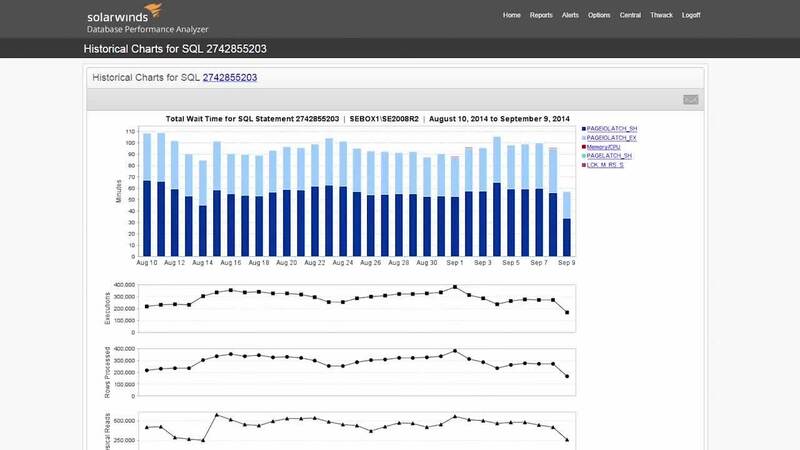 Database Performance Analyzer helps you maximize database performance while minimizing resource requirements for SQL Server, Oracle, SAP ASE and DB2 databases running on physical servers or VMware. 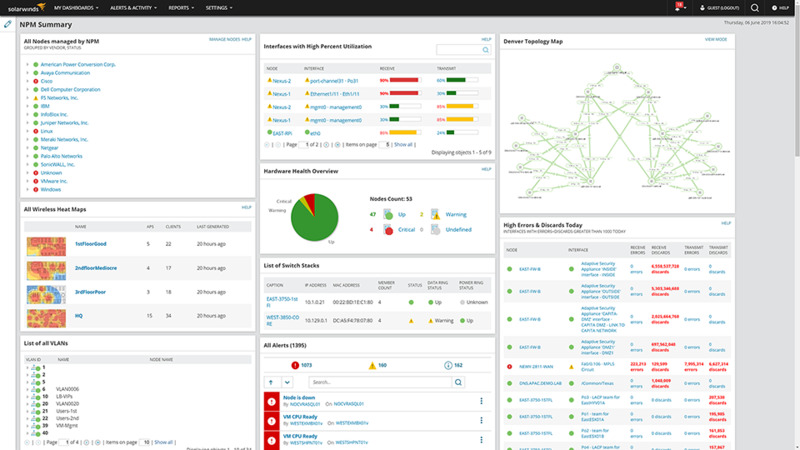 Powerful Security Information and Event Management (SIEM) capabilities, including real-time event correlation, forensics, automated compliance reporting, file integrity monitoring, active response, and single sign-on/smart card integration.